Are Cancer and Aquarius a good match? Read on to find out. Are Cancer and Aquarius Compatible in Relationships? Opposites attract when these star signs come together. Aquarius is known for being extroverted and at home in social settings, while Cancer is introverted and likely to retreat back into its shell in social situations. Cancer is also much more in tune with their feelings and apt at expressing them, while Aquarius tends to be outwardly aloof, even with people they care about. These differences can create tension—for example, if Aquarius sees Cancer as too emotionally demanding or Cancer sees Aquarius as too emotionally detached. The following tips will help mitigate that tension. Cancer craves attention, affection, and the full extent of everything. Aquarius craves authenticity, originality, and intellectual stimulation (they can be quite existential). What these two need is plans. Try setting up time where you can really focus on each other. Give more of your heart than usual. Need some inspiration? 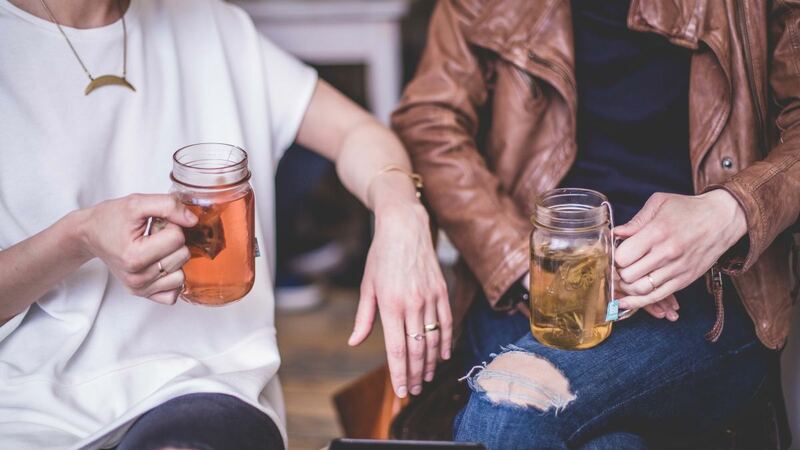 Check out these creative ideas for date night. I think a good way for these two to handle each other is to spend time one on one—and not necessarily on lavish dates, either. Cancer does love the extravagant, the dazzling, and the quirky, but they don't need money-fuelled dates to be happy in a relationship. When it comes down to it, they are romance-obsessed, so as long as the feeling is there, that's enough. Spending a night in and asking questions to get to know each other better can do wonders for your relationship. 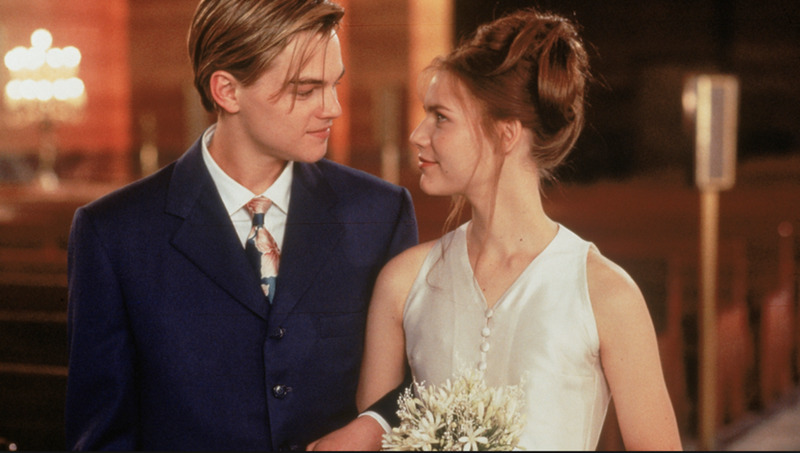 If the Aquarius is open to it, Cancer can teach a lot about romantic love. As for Aquarius, spending time with their partner one on one will help them delve into their thoughts and access their intellectual side, which is very important for Aquarians. In order to balance this relationship, try new things out in the city, and try staying at home together. This will help with the flow of the energy you are experiencing. Cancer has some introverted aspects to it, but leaving it alone to its own devices can backfire. It can make them depressed partly because they need to experience people to express love. Aquarius has some introverted aspects as well since they love ideas so much, but they are natural social mayors. Cancer's love is about expressing themselves fully, while Aquarius—as the existential warrior—is about finding the truth of love. 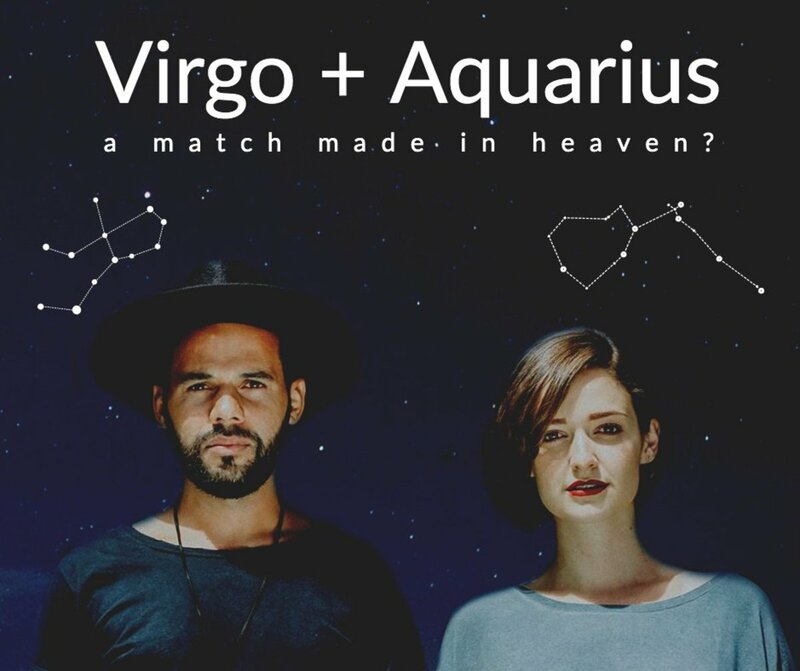 It will be good for Aquarius to experience the expression of love and not just experience it in the mind, though as Aquarius is known for being somewhat distant, this can be very challenging for them to do. But if they can manage to open themselves up, delving deeper into the experience of love will help them understand it better. This may scare the Aquarius at first; they are idea champions and like to study ideas in order to better the world. Cancers—try not to be too needy with your Aquarius. Asking for more before they're ready might end up pushing them away. Aquarius—try not to see your Cancer as needy just because you don't operate the same way. Ask yourself if they really want too much or if you're not offering enough. Don't expect to be mirror images of each other, you're both yin-like, but not in all the same ways. One is more dominated by emotions the other more by intuition and logic. But this is what makes this couple so special. The great thing about this match is the support they can find in each other. Cancer is incredibly kind, forgiving, and gracious—they will be there for their partner and do all they can for them. But Cancer needs to reject judgmental thoughts in order to understand and appreciate Aquarius more. Cancer can help Aquarius by showering them with love—but remember, Aquarius takes a while to reciprocate in the same way. I think experimentation will help. You don't need the hard rigid walls that some combinations require. I think this combo is more about finding and exploring your similarities and differences. Be open to each other and explore how you are both weird and eccentric. Aquarius is a fast-paced thinker and may get ahead of Cancer, which can make Cancer jealous. Cancer needs to learn to appreciate Aquarius's mind if they want Aquarius to manifest physical affection. In turn, Aquarius needs to appreciate and nurture Cancer's major moods. Listen, don't talk over it. When Cancer hurts, don't try to talk it all away. Don't always wait for your partner to initiate. Both of you need to step up to get the ball rolling. Tell your partner you need some initiation on their part. Reassure each other. Be devoted to each other. Push your strengths. Find your weaknesses and help each other to better them. Don't let fear, insecurity, or arrogance guide you. Seek love first and it will unveil what you need. Both of these zodiacs are deep, spiritual, and big-hearted. Cancer needs Aquarius's reassurance, as Cancer can at times feel rocked by the waves of emotions it feels. Aquarius should never poke fun at this or make them feel uncomfortable about it. Aquarius needs to listen and think before they speak. Give your Cancer room to speak, and resist the urge to talk over them. Aquarius should try building a safe space for the Cancer to delve into their emotions, just as Aquarius needs a safe space to explore ideas. Cancer needs to be open to Aquarius's need for mental stimulation: Cancer should talk, explore ideas, try new and bizarre things, laugh, be witty, and push their own intellect. Aquarius—a true sapiosexual—will appreciate it. I think having a spiritual connection is what helps here; try going to church, exploring music, philosophy, or even the new age. You need a place where both of you can feel at home expressing your thoughts and feelings. It's all about finding balance together, learning who you are, and motivating each other. Knowing how you are different and seeing what your goals are—both individually and as a couple—will help you to be good cheerleaders for each other. Don't be afraid to share anything with each other. The more you learn about each other and how to depend on each other, the more you will stick together. There is a certain strong, royal-like vibe from this pairing. If they come together and enlighten each other, they will be able to trust each other and be a real force to be reckoned with. Cancer needs to fall in love with Aquarius' mind; Aquarius needs to fall in love with Cancer's emotions. They need to nourish and cater to these. Aquarius will be doing things in their own rhyme or reason, and Cancer will have a certain amount of tradition, sentimentality, and regularity. This won't be the easiest to balance, but if you can find that equilibrium, both signs will learn from each other exponentially. Are Aquarius and Cancer Sexually Compatible? Developing a healthy sexual relationship between these two signs takes a lot of work on both sides. Cancer is an extremely emotional sign, and they rarely engage in intimacy if they haven't already developed a solid emotional foundation with the other person. Unfortunately, Aquarius's tendency to remain aloof can make it very hard for these two to lay the foundation for a successful intimate relationship. 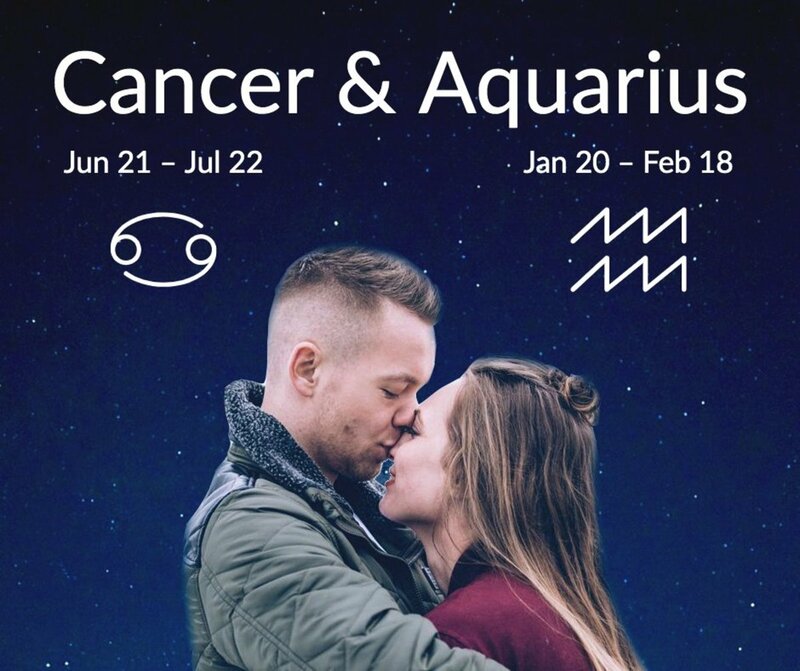 In order to make an intimate relationship between these signs work, Aquarius needs to let down its guard and make an effort to communicate openly with Cancer. Cancer, on the other hand, needs to relax and try to let go of unnecessary stress. It all comes down to communication! What Is the Aquarius-Cancer Power Dynamic? A relationship between these signs can end up being very unbalanced if the two parties don't make a concerted effort from the get-go to find a healthy equilibrium. Cancer has a hard time setting boundaries, as they really don't like letting others down. This can create problems in the relationship, as—for fear that saying no might cause their partner to think less of them—they may agree to things they don't really want to do. Cancer needs to realize this tendency and do their best not to let themselves be walked all over. At the same time, Aquarius needs to understand this tendency and know not to push Cancer too far. Cancer is moody and spiritual, which makes sense given that its ruling planet is the moon. Aquarius, on the other hand, is full of energy and emotions that it hides behind a cool exterior. Aquarius—an air sign, yet a water bearer—has a lot more emotional power to it than people give it credit for, but the sign is so complicated that people don't always see or connect with it. Aquariuses live powerfully in their heads; they are highly receptive and usually prefer someone else to initiate. That said, they can pair well with water signs. These signs connect well through intuition. Cancer is full of emotional depth, moods, tide shifts, and intuitive shifts, and though they might hide it well, Aquariuses are too. Aquarius's emotional disciplines are simply different than Cancer's. Cancers are affectionate—honestly some of the most emotionally intelligent zodiacs you'll find—and, yes, they can be a powerhouse of emotion. This can be good for Aquarius, as it may encourage them to open up their heart and access their hidden reservoir of emotions. Cancer is all over the place, almost as aloof as a wind sign, but coming from a much, much different place. What Is a Yin-Yin Relationship Like? These two are really different, but there are some similar qualities in being both in being so very, very yin like. I think studying yin and yang will help these signs to appreciate each other. Sometimes relationships that are yin-yin and yang-yang can feel unfulfilled because there are certain parts to the energy exchange that are missing. Yin-yin relationships can have benefits, but they're just a little harder to find. When these two forces come together, you can expect a lot of emotion, mood swings, and sentimentality. This may create a situation where power feeds back into itself, over and over, making for a weird, potentially destructive mix. But if Cancer and Aquarius can figure out how to blend their two very yin-like personalities, they will become an unstoppable force. I am an aquarius woman and ive been dating a Cancer man for the last last year, we are very similar in how we deal with stress which is shutting down. Our biggest thing we have to work on is communication. I dont like talking about my feelings or small trivial things and he feels like I'm hiding things. We joke around that im the man in the relationship! I think it can work, it just takes time to acknowledge where you are willing to compromise and where you arent. ok and so i like my cancer best friend, and i am a aquarius women. the thing is he's dating my other friend, who is also an aquarius. what should i do? my friend used to like me but. I'm an Aquarian woman in love with my Cancer man... its been rocky throughout our relationship. breaking up to make up. It seems like we can't live with or without each other. I do believe we are twin flames. this article makes perfect sense. I'm emotionally detached and always told myself i know most things and didn't really give him time to speak up. we decided to stay together despite our differences and that helps us to love and support each other unconditionally. the storms have settled. I hope other wind and water signs will be able to find this balance in their relationship. I'm an Aquarius woman engaged to a Cancer man, and we've learned each other's strengths and weaknesses and we are rolling with it. I went back to school in the sciences at 30 after 8 years in the visual arts He's buckled down and told me not to worry about home, just worry about school and my education. He pushed me to go after my pursuit of knowledge because he realized I wasn't happy just settling for a job that paid the bills. I am trying to give back to him, make space for him, allow him the socializing that he needs, but we know that the next couple years will be hard, and I know he's making a lot of sacrifices. What I need to make sure I do is listen to his needs. When he no longer needs to support me, and--let's shoot high--when I have my own environmental research lab, then I can support him. He'll get to live his dream of being the stay-at-home-dad of a littler of corgis like he's always wanted, while playing and writing D&D campaigns in his spare time. Or even I can support him while he returns to school to study ancient history. I always tell people that we can find on this planet every match under the sun -- there is a way for every match to succeed and fail, but the design and mechanics of it is unique to each pair. 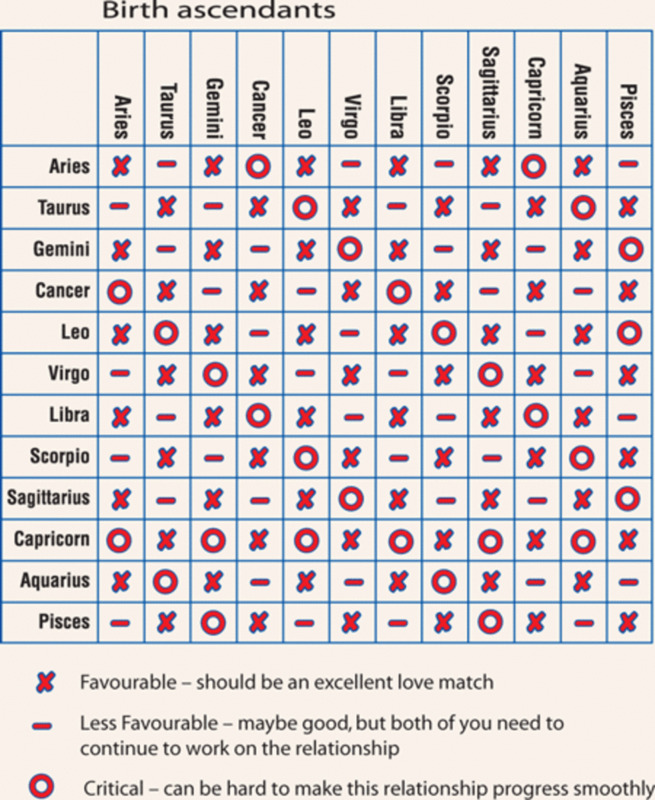 There is no such thing as a bad match between zodiacs. My ex husband was an Aquarius. I’m a cancer woman. He was good to me, I was good to him for about 6years. After time passed, I started to feel like the love died, we didn’t talk or do things together, I felt clingy and unloved. I almost forgot what made me love him in the first place. We went separate ways. Later we became friends, it’s was fun,exciting, and then I remembered why I loved my Aqua so damn much. We really are a couple of goof balls together. Don’t forget that all relationships take honesty, communication, affection, patience, and respect on both sides. 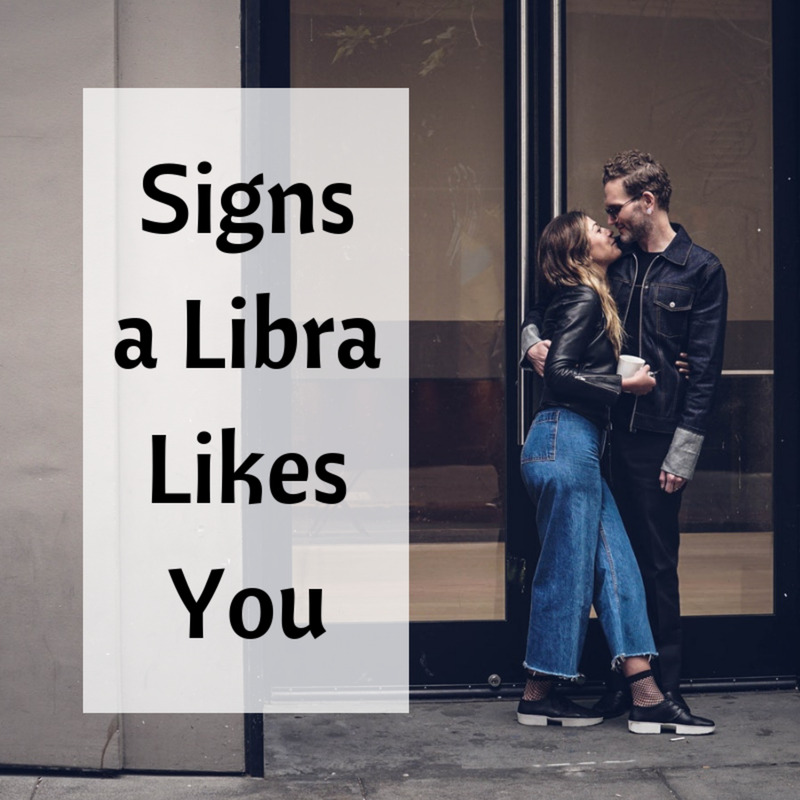 If the signs aren’t a great match, don’t let it stop you from loving a wonderful person. They are not on the same page and they wont be ... their perception in life is different. Though we resemble but many things do not match. As being an Aquarius trust me a Cancer woman was biggest mistake and waste of time in my life, no disrespect to Cancer woman. If you are Aqua go for Gemini or Libra! How to make sure they are on the same page ,in love? I do the same.next time I,ll think before talking.